What a wild weekend it has been so far. Very busy out here on the island and I am on call at work too. It's Memorial Day weekend and things are now in full tilt out here. I have been training new people on being a dock master. Since I am the lead dock master now, I have hired a few additional people to help out and work the dock. They are great but it's just time consuming. Plus it has been difficult to let go a bit. I stayed until the 11:30pm boat last night which was a huge number of people leaving. The new guy "Ken" was on his own for the 1am and 2am boat. And I know he did very well. But that used to be my shift. So it was hard to leave but I got some GOOD sleep knowing that he was on duty and that I was just tired from the days activities. We started off the morning with getting another new person trained and then the fire department physicals, yes I passed. And then more dock work and, don't forget, the schedule.... Wow, what a pain to remember who can or can not work which days and who needs off for this or that. Anyway, I got about 6 hours of sleep last night before being back at the first boat this morning to meet one of the guys from yesterday who was on the first boat. Now I am down at the fire house getting setup for a chief's meeting and drill here at 10am. But wanted to wish everyone a safe and happy Memorial Day weekend and hope the sun is shining on you where ever you are. 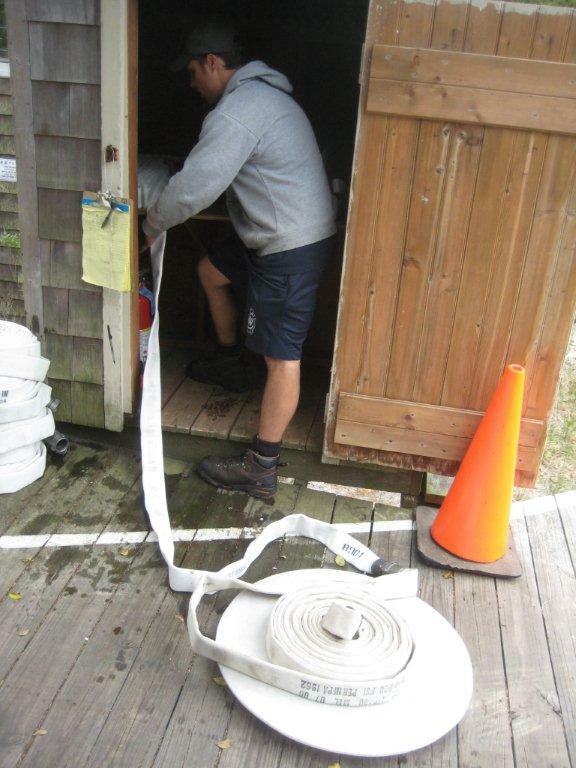 Back in New York in Cherry Grove this morning for the testing of our fire house. 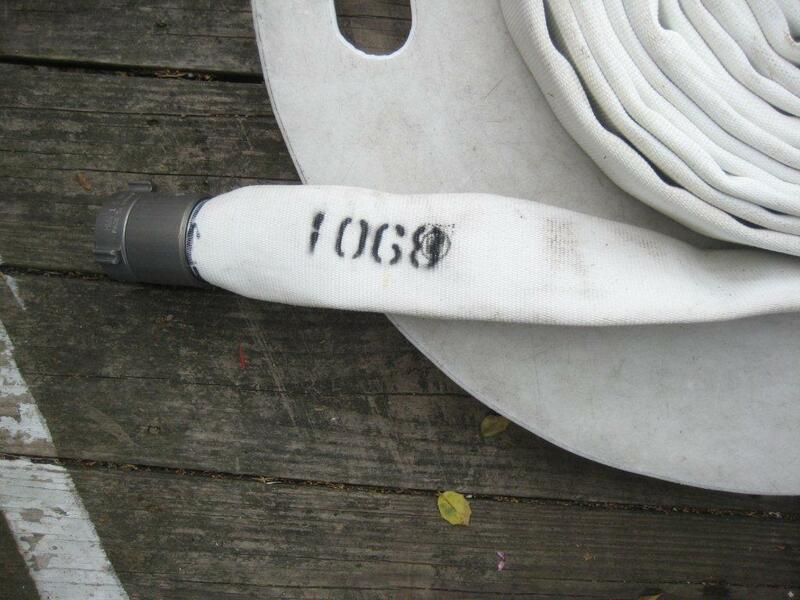 This is our first year doing NFPA (National Fire Prevention Association) standard testing so we had to stencil identifications on every hose. We have a lot of hose. 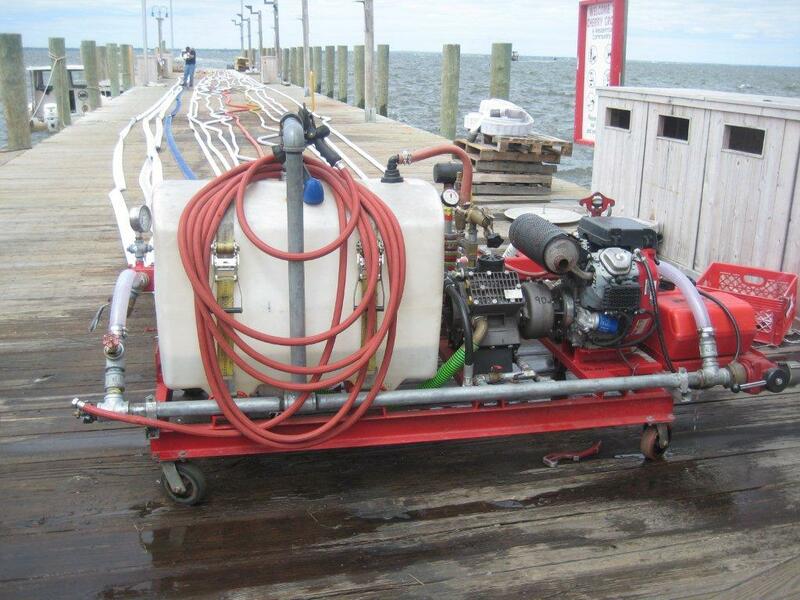 A great company by the name of Waterway did the work for us with their specialized pump. It was a "full" day of work but we got it all done. 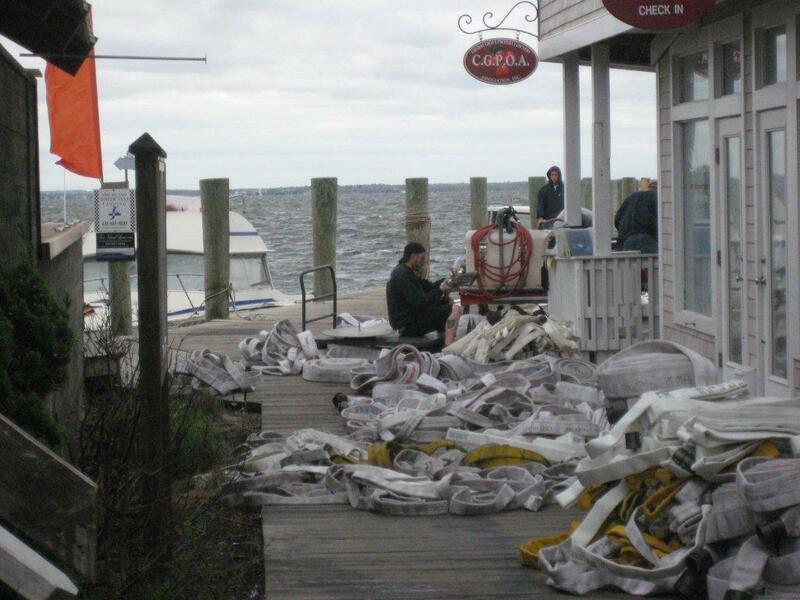 We have enough fire hose in our department to reach across the bay to Sayville. Here are some photo's from the event. Top Left - Hose on the dock waiting to be stenciled and tested. Top Right - Hose number, each one is unique for our department. Bottom Left - They repacked all the hose back into our hose houses. Bottom Right - The special pump that tests the hose to seervice pressure. Depending upon the age of the hose and manufacture, the newer hose is tested to 400psi but the older hose may only be tested to 200psi. Having some problems with my internet connection from the airport here. So this might not get posted until I get home. But I am at the airport. Just said goodbye to mom and Bill and then checked my bags and went thru security. Had a nice day. Usual boarding area here at gate 6 in Terminal 2. Simon will be at the airport waiting to pick me up. Had a great time here in Arizona but now it is time to head back home. sigh. My cousin Debbie came over today so I even got an opportunity to see her on this trip. Having a great time in Arizona. But now it is time to fly back tomorrow. The coronation here was great. Got to see lots of my friends from this area. Also had a great week with mom just relaxing and generally enjoying being around her and Bill. Nothing too special. Went to see Billy Elliot here at ASU (Arizona State University). It was great and Aunt Barbara and mom went to the play. They both loved it as well. Not quiet like it was on Broadway. But still a special play and fun. But now the fun is over and time to head back East. Relaxing at my mom's. Working away on some items for work. Glad to get her yesterday and just sleep. Got plans to see Billy Elliot on Tuesday night with Aunt Barb and mom. It will be mom's birthday. Then the dinner theatre on Wednesday night. After all of the news about Bin Laden being killed yesterday, everyone is happy, happy.